We have a plethora of fun in store for you. 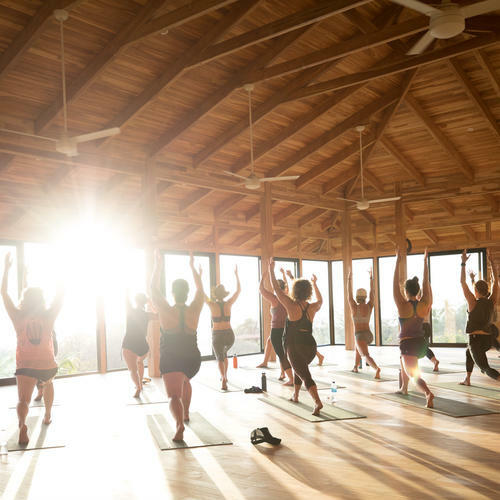 Whether you are looking to hit the barre, find your flow on the yoga mat, or move through your body in one of our other fusion style classes you are sure to find something that sparks the magic. Learn more about what we offer here! Approved by the Yoga Alliance as a Registered Yoga School. Dedicated to small groups, personalized instruction, and helping you design your own unique style. Get certified to teach barre in 1 weekend, or get certified to teach yoga in our 200 hr. hatha vinyasa yoga teacher training, 2 week immersion. 200-hour Hatha Vinyasa Yoga Teacher Training and Sacred Self Care 2 week immersion.